Hunting, fishing, camping, you've got it covered! 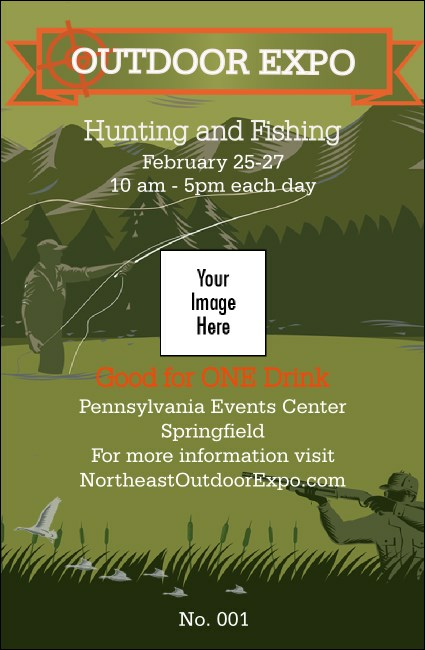 When you're ready to share the excitement of a sporting life, the Sportsman's Expo Drink Ticket is the perfect choice to keep your guests hydrated and out of the concession line. Keep your vendors and guests happy with individually numbered ticket templates that feature images of mountains, a fly fisherman and a bird hunter. Plan your expo with promotional materials from TicketPrinting.com.